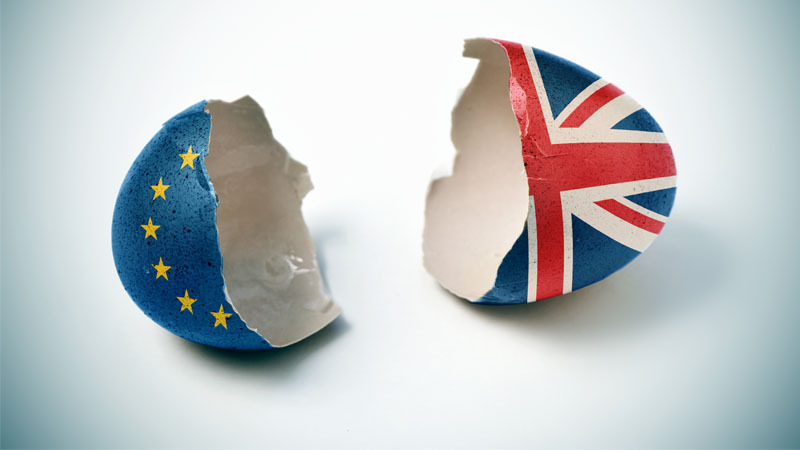 During these uncertain times in UK and European politics, Steve Richards, a well-respected political journalist and adviser to BIBA’s Public Affairs consultants, Hanover, has written a blog with his take on the latest events regarding Brexit. The decision by the EU to grant the UK a Brexit delay until October appears to be the worst of all worlds: not long enough for a second referendum or for a major rethink of what form Brexit might take, and yet far too long for Brexit hardliners in the Conservative Party. In reality, the new timescale is not as significant as it seems. The President of the EU Council, Donald Tusk, has indicated it would consider another extension if the UK was serious about a new approach to Brexit and needed the additional time. Meanwhile, the Brexit hardliners were already furious about Theresa May seeking a June extension. Even so, what happened at the EU summit last night was highly significant for other reasons. We now know for sure that the EU and May will move considerably to avoid a ‘no deal’ outcome. May does not even pretend any more that she would contemplate such an outcome. During her presentation to the EU leaders yesterday, she did not threaten once that the UK would walk out without a deal if she did not get what she wanted. As far as May is concerned, that game of high stakes poker is over. As I wrote in my blog earlier this week, May has decided that she does not want to go down in history as the Prime Minister that broke up the UK, a possible consequence of ‘no deal’. Equally important, the EU also showed that it does not want the UK to crash out. Several EU leaders, including Angela Merkel, sought an extension that could last a year. President Macron opposed a lengthy extension but he did not veto any delay at all. He knows that parts of the French economy would have suffered if the UK had left at the end of this week without a deal. For now, at least, businesses can work on the assumption that both sides want to avoid a no deal. This might change, which is why businesses cannot make any long-term assumptions in relation to Brexit. More immediately, the fallout from the summit will be in the UK. Theresa May makes a statement to MPs today. She is likely to get an even more torrid time than she usually does from some of her own MPs. But the reasons May has survived for so long still apply. There is no formal mechanism to remove her until December when Conservative MPs can hold another vote of confidence. Cabinet ministers are in despair over her, but in some cases fear what might happen in a leadership contest. May’s recent offer to leave if MPs backed her Withdrawal Agreement was typically opaque. She did not pledge to go if her Agreement failed to secure a majority. She does not want to resign until she has no choice but to do so. On one strange level, she aches to carry on. I am told she is encouraged to do so by her biggest influence, Philip May. The formal talks with Labour are unlikely to last much longer. May is not in a strong enough position to offer a formal customs union and close single market alignment. Such an offer would trigger further turmoil in her party. Jeremy Corbyn does not want to own the ‘Tory Brexit’ and knows if he formally reaches an agreement with May on Brexit he will face more defections from pro-second referendum MPs to the recently-formed independent group. May’s hope is that a modestly revised version of her plan can pass after the Easter recess with the support of some Labour MPs. She knows that the DUP and some Tory Brexit hardliners are unbiddable. Given what has happened in recent months, and May’s ever-weakening authority, it seems unlikely that a deal will be passed in the coming weeks. In which case the UK will be fighting the European elections. These will become an informal referendum on Brexit. Senior ministers fear that Nigel Farage’s Brexit party will attract swathes of Conservative voters. At the same time, some of those close to the People’s Vote campaign are contemplating setting up a Remain party solely to contest the European elections. These will be the most surreal elections in the UK’s history – an informal Brexit referendum that is not a referendum, elections to a parliament that the UK is supposed to be leaving. Conservative MPs I have spoken to from across the Brexit divide cannot see how May survives a collapse in the Conservative vote in the local and European elections. They assume there will be a leadership contest this summer, if not before. At which point ‘no deal’ will return to the political agenda. Some of the embryonic candidates in a contest will claim they are ready to walk away without a deal knowing that will be popular with the Conservative Party membership. But such a prospect is less popular in the parliamentary party. Conservative MPs have the first vote in the contest, before two candidates put their case to members in the second round. An underreported twist is the deep divisions and tensions amongst Brexiteers in the Conservative parliamentary party. In the Cabinet, Michael Gove has become the most articulate opponent of ‘no deal’, while the likes of Andrea Leadsom and Chris Grayling would accept leaving in such circumstances. Within the ERG group of hardline Brexiteers, there are now growing tensions between those who refused to back May’s deal and those who did on the grounds that at least it meant that the UK had left the EU. These differences are likely to deepen in the coming weeks. As ever, businesses must continue to plan for any eventuality. In theory, the UK could leave the EU in the next few weeks. If that does not happen, there is likely to be a highly charged European election campaign and a Conservative leadership contest, even though May clings to the hope of staying as prime minister up to the autumn at the very earliest. It is difficult to see how a new Brexit deal could be reached over the summer – and, anyway, the EU is adamant it will not renegotiate the Withdrawal Agreement. For all the gusto of Boris Johnson, Dominic Raab and other potential Tory leaders from the Brexiteer wing, a new Tory prime minister would face the same dilemmas as May: a hung parliament, a broadly united EU, and a divided parliamentary party. If the UK does not leave in the next few weeks – and I have spoken to no MP who expects this to happen – businesses must plan for the possibility of another cliff’s edge at the end of October, a further extension, the UK leaving without a deal, a soft Brexit and no Brexit at all. The future is as foggy as ever.